Before you protest and tell me all about how you'll read any email with "stuff" in the subject line, there are, no doubt, exceptions. And you, a board-certified snowflake, may be one of them. But it's just one of those things the advertising industry does research on, then pumps into my head. So I thought I'd share it with you. 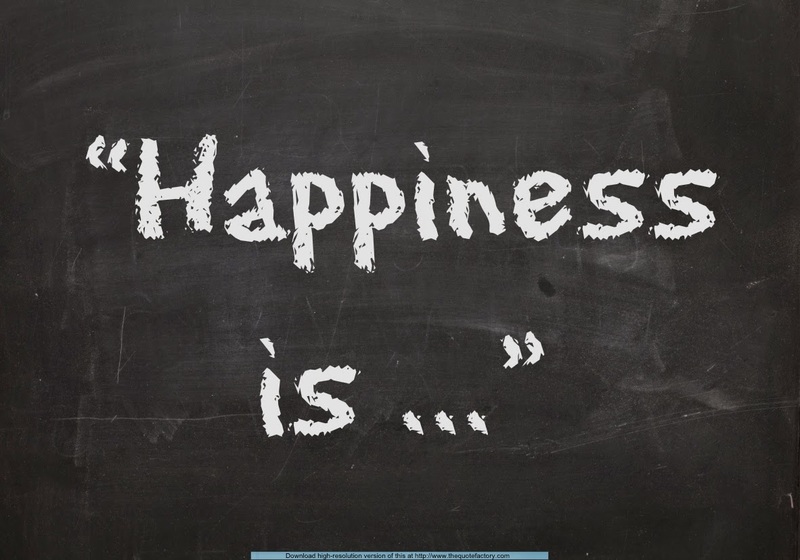 Now here's a classic post, "Six Things To Know About Happiness." 3. Gratitude is a Direct Route to Happiness. Want to be happy? Count your blessings. We are all so incredibly blessed and we don't even realize it half the time because we're looking at all the areas where life has fallen short of our expectations. Well what about the vastly larger number of areas in which it has met and exceeded...or at the very least mirrored the effort we put forth? 4. Happiness is a Choice. In most moments, you can choose to be happy. You can choose to see your situation as a gift. Sure, if the bad guys are chasing you with guns, it's hard to be happy. Unless you like that sort of thing. But most of us lead pretty tame lives. And we can choose to let some inconsiderate person, for example, ruin our day. Or we can choose to focus on the positives, see how good we've got it and let our bodies and minds flow with gratitude. Now, chemicals in our body can make our moods shift. But even those, we can choose to improve through exercise or pharmaceuticals or whatever. But still, we're all human, so there will be times it won't be a choice. But many times it is. 5. You Can't Know Another Person's Happiness. So stop looking over the fence and thinking that person is happy! C'mon...think about all the times you walk around with a smile on, even though you're less than happy. Well, newsflash! Everyone else is doing that, too. In fact, some people are significantly better at looking happy than you are. The Dalai Lama is probably the happiest person on earth (that I know of, at least) and even his moods modulate. Besides, he's waited on hand and foot, worshipped far and wide and hugely respected. He was literally born to be a leader and a holy leader. But he was a leader in exile most of his life and his people were oppressed...all this happening to a very compassionate man. You want his problems? I didn't think so. So be careful what you're wishing for. 6. Happiness Shouldn't Necessarily Be Your Goal. Contentment should. See, the ultimate goal in life is supposed to be balance, right? Well, happiness is weighted to one side of the spectrum. It's not in the center. And the things beyond center are harder to maintain. Not only that, but in order to have balance, things that are weighted to one end eventually have to be mirrored by things weighted at the other end. But contentment is at the center. It's satisfaction. It's upturned lips and a relaxed brow, but not quite a full-on smile. With contentment, there may be things in your life that are less than hunky dory, but you'll take it. Because it's pretty good overall...pretty good for a Wednesday. It's the wellbeing without the exclamation point. And it feels really nice. And, with the right mindset, you can maintain it longer.